Home » Blog » No cash, no queues, no worries – is Amazon Go the future of bricks-and-mortar stores? No cash, no queues, no worries – is Amazon Go the future of bricks-and-mortar stores? You’re in the supermarket. You see the person in front of you pick up a loaf of bread and put it in their handbag. Next, they reach for an apple and put it in their pocket. By the time you’ve walked down to the next aisle, they’ve squirreled away more than ten items, yet they’re not carrying a shopping basket. After this, you see them walk out of the shop without paying. Are they shoplifting? 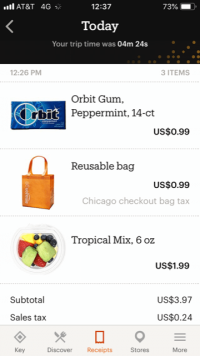 Or are they buying their groceries from an Amazon Go store? For customers just popping in to get a few food or household items on their lunchbreak, supermarkets can be a laborious task. Queueing for checkouts, even though a customer might only have a couple of things in their basket, can be time-consuming. Amazon Go promises a stress-free store experience, removing the need for queues, tills or even cash and physical card payments altogether. 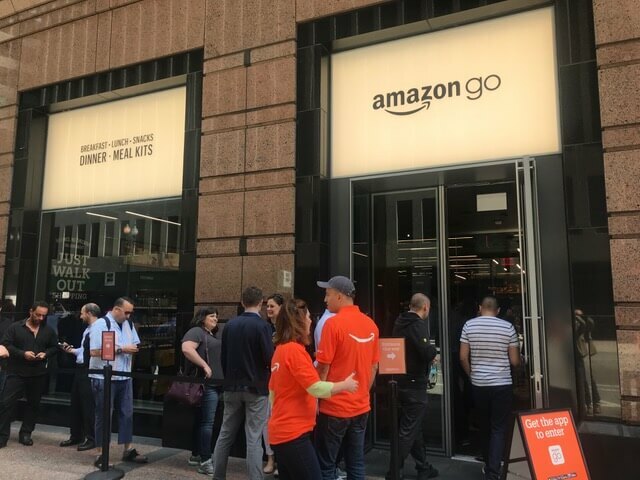 Before entering, a customer simply downloads the free Amazon Go app on their mobile phone, which is linked to their Amazon account. This is scanned in on entry. From this moment on, cameras and computer technology track the customer around the supermarket until they leave, where they walk out without anyone else checking their items or asking for payment. 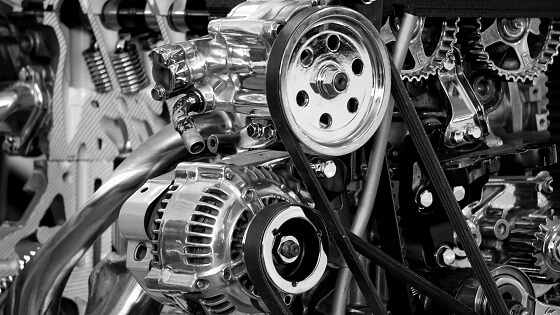 An itemised bill is then emailed to the customer, including details of the time spent within the store, and a payment, linked to the information on their Amazon account, is deducted. 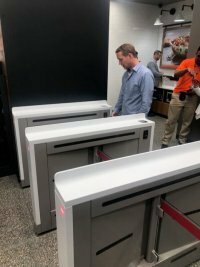 Amazon Go’s technology is similar to that of self-driving car, using a combination of machine learning, computer vision and sensors, which detect whenever an item is taken off – or put back on – a shelf. Customers can purchase anything that they could also buy from their local convenience shop. Food, household cleaning products and toiletries all line the shelves, from basics to ‘Amazon Meal Kits’, where customers can get all the ingredients they need for a certain recipe, ready to be cooked at home. The range might not be considered as extensive as some of the larger supermarkets offerings, but the emphasis is more on convenience, and, specifically, speed, than variety or choice. Amazon’s new store technology is certainly exciting; indeed, the ease of walking in and walking out – without being stopped – is a clear advantage. 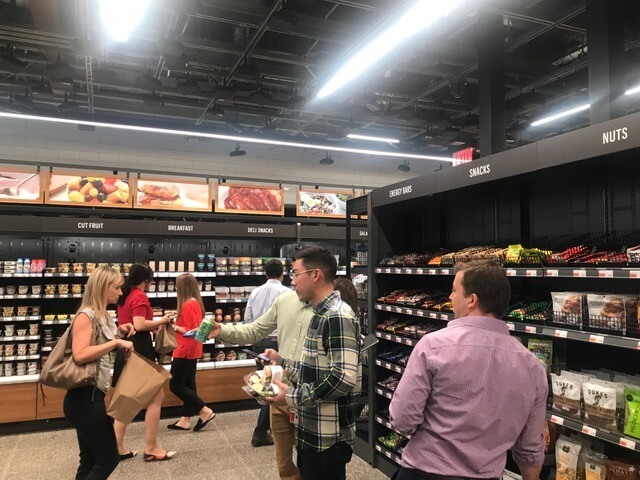 However, that being said, when we visited one of the Chicago stores, on our recent trade mission, the queue to simply get inside was far longer than most supermarket checkouts, as only a certain number of shoppers were being admitted in at a time. 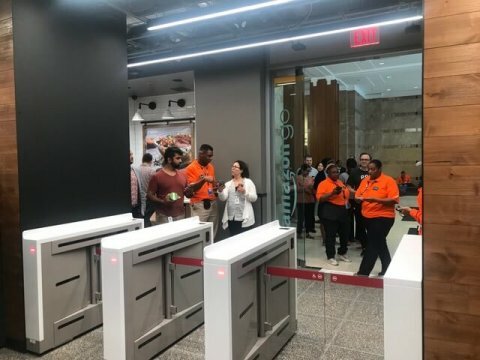 Amazon Go currently have three stores open in Seattle, USA, and two more in Chicago, yet, as Bloomberg reports, there are rumours of plans to open a further 3,000 stores worldwide by 2021. 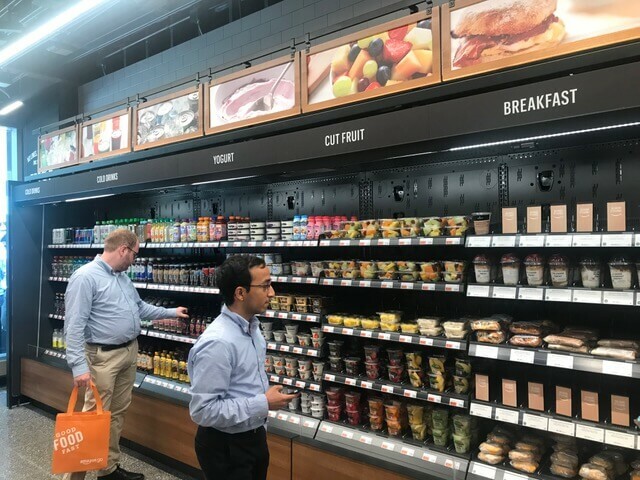 Whilst their developed software opens up much more potential for customers and retailers hoping to adopt similar technological processes, the current technology used by Amazon Go is costly, with the same Bloomberg report claiming that each store was costing $1 million for hardware alone. 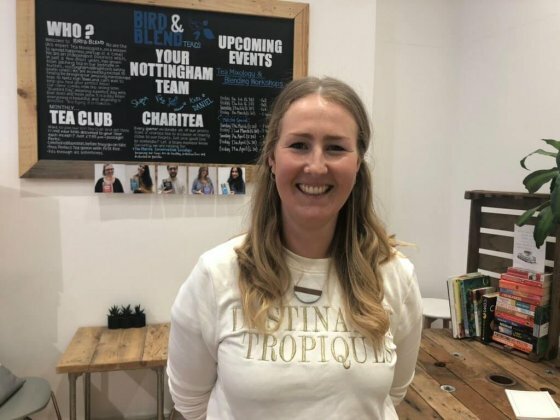 Instead, other retailers can mirror a similar fast-moving experience by focusing on creating and maintaining reliable transaction systems, with IT problems being fixed as swiftly as possible to minimise the negative impact on the store’s customer experience and till waiting times. Ensuring effective payment technology is in place to support a quick and easy process would support the positive in store customer experience, which, in turn, would increase the likelihood of gaining the customer’s lifetime value. 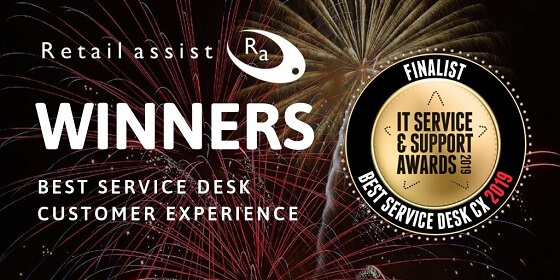 If you would like to know more about technology systems deployment and associated support, get in touch here, call our Head Office on +44 (0)115 9042777 or email marketing@retail-assist.co.uk.